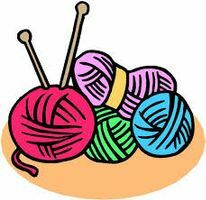 The Betsie Valley District Library would like to invite anyone who is a knitter or crocheter to meet at the Betsie Valley District Library on Tuesdays from 11AM—1PM All levels are welcome and the program is free! If you are interested please sign up at the front counter of the library or call 231-378-2716! Bring a friend! Library located at 14744 Thompson Ave., Thompsonville, MI. Questions, please call 231-378-2716.